Westshore 500, a 130,000 SF, 10-story Class A suburban office building located in the heart of Westshore. Owned by Bridge Commercial Real Estate. Fountain Square II, a 135,000 SF, four-story Class A mid-rise suburban office building located in Westshore near the airport. 100% Leased! Owned by Equus Capital Partners. Arrow Point Plaza, a Class A 100,000 SF, three-story suburban office building located in the Gateway submarket in St. Petersburg. Owned by a Arrow Point LLC, a private equity group. Park Centre at Telecom Park, a Class A, 85,000 SF, three-story suburban office building located in Tampa Telecom Park. Owned by Starwood Capital Group. Recently sold at 85% occupancy to an owner who self leases and manages. Park Tower, an updated 36-story, Class B, 480,000 SF high rise office tower located in Tampa’s downtown submarket. Sold mid 2015 to an owner who self leases and manages. Riverside at Tampa Telecom Park, a 171,000 SF, five-story Class A mid-rise office building located in northeast Hillsborough County in Telecom Park. 100% Leased! Top 10 Producer - Colliers International Tampa Bay Florida for 2008, 2010, 2012, 2014, and 2016. Largest Office Lease - Colliers International Tampa Bay Florida 2008, 2010 and 2012. Landlord representation experience over 36 years includes institutional investors such as Trammell Crow Company, USAA, Equus Capital Partners, Sterling American Property, Inc., TIAA-CREF, Fairlead Commercial Real Estate, Cigna/ Times Square, Colonial Properties Trust, AEW Capital Management, LaSalle Investment Management, Great Point Investors, Principal Real Estate Investors, TA Associates Realty, Parkway/Cousins Properties, ITT Hartford, Metropolitan Life Insurance, Morgan Stanley, Lend Lease Real Estate Investment, and J.P. Morgan. 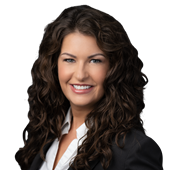 Before joining Colliers International, Ms. Calzon was the Sr. Vice President in charge of project leasing for Trammell Crow Tampa providing strategic, tactical, and marketing efforts relative to landlord representation. Her portfolio included over 3 million square feet of Class A office high rise towers, located in the Downtown Tampa and Westshore submarkets.